Patsy is looking for her forever home. She is a 2-year-old pitbull, terrier mix, and weighs approximately 40 pounds. She has received her vaccinations and has been spayed. Patsy gets along well with children and other dogs. She would be the perfect addition to a family that enjoys spending time outdoors, as she loves longs walks and enjoys playing fetch. 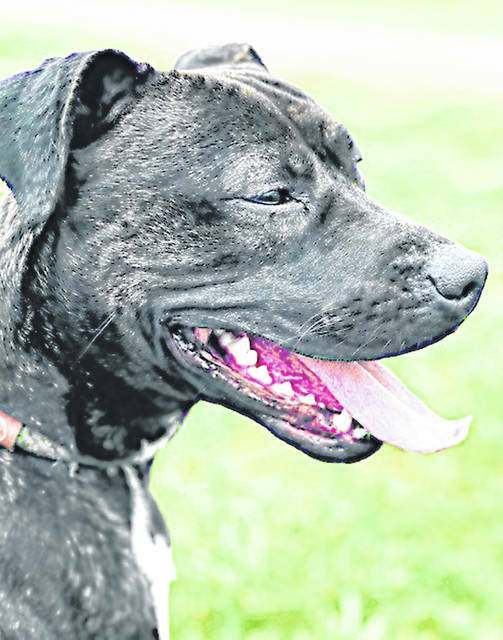 If you are interested in adopting Patsy, visit the Highland County Humane Society Tuesday through Saturday from noon to 5 p.m.
https://www.timesgazette.com/wp-content/uploads/sites/33/2019/04/web1_Pet-of-the-Week.jpgPatsy is looking for her forever home. She is a 2-year-old pitbull, terrier mix, and weighs approximately 40 pounds. She has received her vaccinations and has been spayed. Patsy gets along well with children and other dogs. She would be the perfect addition to a family that enjoys spending time outdoors, as she loves longs walks and enjoys playing fetch. If you are interested in adopting Patsy, visit the Highland County Humane Society Tuesday through Saturday from noon to 5 p.m.